Everyone, say hello to Satya Nadella. He has just been named the new CEO of Microsoft. Only the third CEO in company history, Nadella has been with Microsoft for 22 years. He is well known for his role on the enterprise end of the spectrum. Particularly, over the last quarter-decade, he has been responsible for a lot of what makes Azure a great cloud platform. He is credited with making sure the infrastructure, including the ability to run Windows Server, SQL Server, and Visual Studio within the cloud. His educational background is at The University of Chicago, where he attended the Booth School of Business. While at Microsoft, he was a Senior VP in MBS (focusing on Dynamics and Office Small Business), then the President of the Server & Tools business, which is when he was making his big cloud push. This should give us a clear idea of what Nadella going to focus on. Does this mean he will jettison other divisions like Windows Phone and Xbox? Doubtful. But we will very likely see more cloud integration and dependence on making the Xbox a “service” rather than simply a gaming or entertainment platform. Software as a Service (SaaS) and the ability to charge monthly fees for products like Windows and Office have been a long time goal for Microsoft, generating a steady stream of revenue. As much as the consumer may not like it, the entire industry has been trying to go this way for years. We can expect to see a push in this direction, as I expect Nadella will dive in more quickly than his predecessors, who were dipping their toes in. 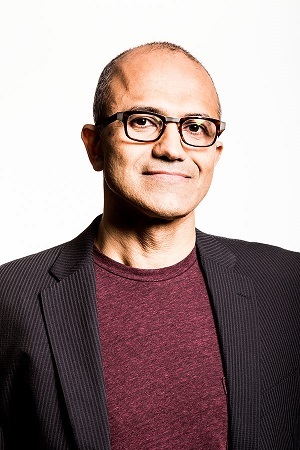 If you really want to get to know Satya Nadella, learn about him from his MSDN blogs of years past.